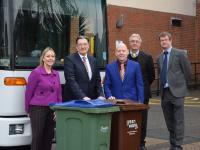 A new multi-million pound contract to deal with the district’s rubbish and recycling has been awarded to Biffa. Biffa, the Council’s current recycling, refuse collection and street cleansing contractor, offered the most competitive bid and an impressive set of service proposals to win the three-year contract. 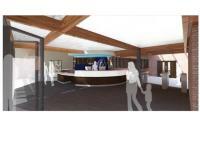 Anticipated improvements to Arun Leisure Centre, operated by Freedom Leisure on behalf of Arun District Council, are set to start on the 5 February, including a temporary reception area from the 19 February. Work to greatly improve and modernise the reception, café and first-floor changing rooms will complete the centre’s ongoing refurbishment, which Freedom Leisure committed to upon winning the contract in April 2016. A total of £1.4m has been invested in order to improve the centre for the local community with completion planned for August 2017. February is the British Heart Foundation’s National Heart month, and Arun Wellbeing is promoting the importance of taking care of your heart by sharing practical tips for a healthier lifestyle with local residents. 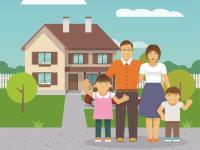 Followers of Arun Wellbeing’s Twitter account will be able to read daily tweets about heart health throughout the month. 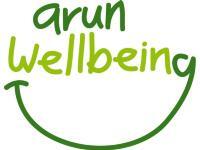 If you don’t already, why don’t you follow Arun Wellbeing on Twitter so you can stay up to date with the latest Wellbeing events and promotions in the area? 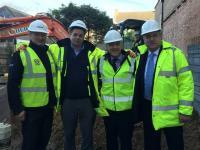 Arun District Council and contractors, Brymor Construction, are working together on the four bedroom properties, located on the Glenlogie site, Clarence Road Bognor Regis. Arun District Council’s Cabinet has agreed to recommend to Full Council the allocation of up to £80,000 of additional funding provision for Bed and Breakfast accommodation for those at risk of homelessness.